A single glance at these gleaming mirrors is enough to see why they add eye-catching details to their surroundings. The glass surface has been coated to imbue reflections with a silvery sheen. As the mirror catches light, it softens reflections and diffuses ambient light. There are two versions of Peek to choose from: a circle and an oval, both made with matt black frames that form crisp outlines around the glass. Both versions can be hung on the metal peg included, or attached to the wall with screws. The wall fixtures are multi-directional, making it possible to hang the mirrors in vertical and horizontal directions. Peek reflects the need for arty accessories that do more than decorate a room. With a background in architecture, Elina has an intuitive understanding of spatial design. Her works are made for the interior and characterised by strong geometric forms and innovative details. Some of Elina’s designs are accented by integrated lighting; others are designed with the ability to move or rotate. From her studio in Helsinki, Elina has won awards and gained recognition far beyond Finland’s borders. Some of her furniture designs are described as functional art, characterised by artistic sensibilities and a multifunctional approach. 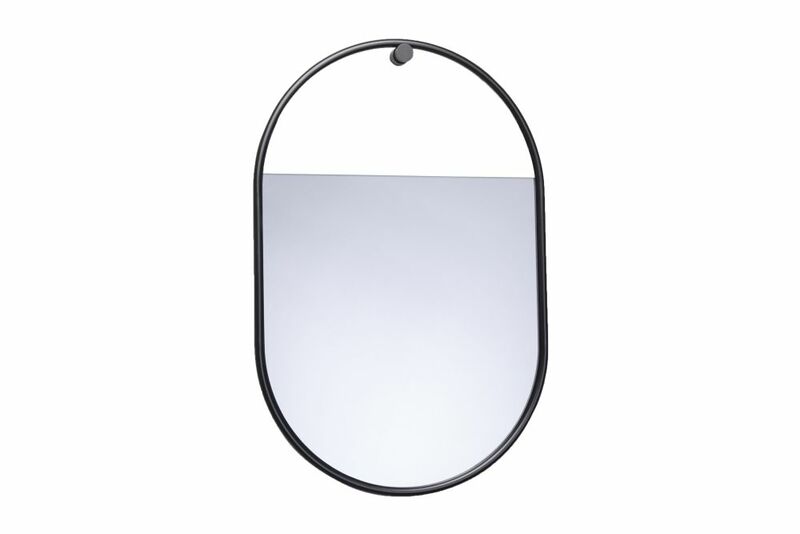 Northern’s accessories collection includes a two Avant-garde mirrors designed by Elina. The glass is coated to imbue reflections with a silvery sheen and diffuse the light around it.